Upon arrival at our hotel in Framingham, Mass, enroute to to Swedish Car Day 2012, we discovered we couldn't open the hatch! The key turned, and the power lock mechanism made the appropriate noise, but the external hatch release had no effect whatsoever. 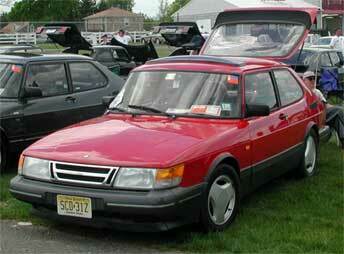 Luckily, this being a classic SAAB 900 hatchback, we were able to fold down the rear seat to crawl in for our suitcases. We greatly enjoyed Swedish Car Day in Brookline and hoped not to get a flat tire on the way home. It's easiest if you crawl into the hatch on your stomach and release the latch with a screwdriver. 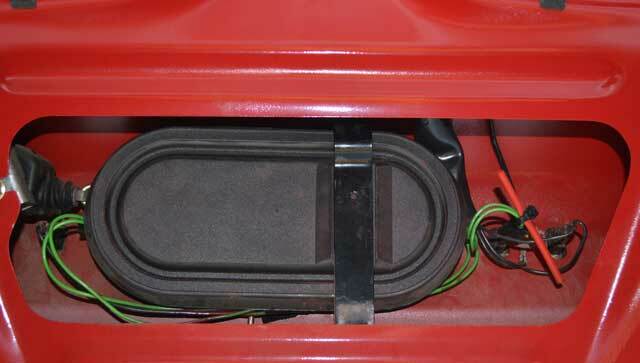 Once the hatch is open, it's simple to remove the upholstery screws with a quarter turn, then remove the trim from inside the hatch lid. The upper edge of the trim panel is secured by snaps, just pull it off. Once the trim is removed you'll see a black cover. Slide the black clip to the side to release the cover. The piece on the right goes up and down when you pull on the external hatch release. The vertical threaded rod releases the latch to let the hatch open. 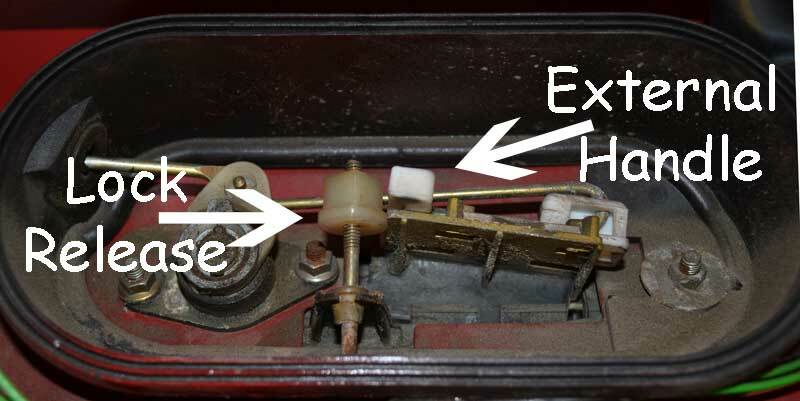 In the picture, the white plastic release attached to the external handle has slipped off the vertical rod, so it no longer activates the hatch latch. Simply move the plastic piece back under the vertical rod. 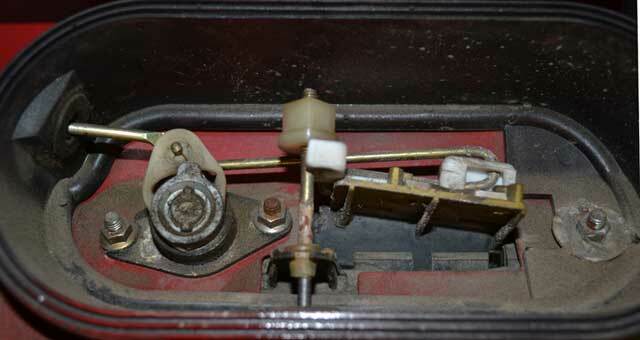 Now, when you activate the external hatch release, the vertical rod moves up and down, releasing the hatch latch. Thanks to Linnea Krajewski and Jonathan Williams for the tips that led to a resolution of this issue.